The Metro Richmond Zoo recently welcomed 13 healthy new cheetah cubs, born from three litters over the past month, to its quickly growing cheetah family. On March 21st, a litter of three cubs was born. A few days later on April 1st, the Metro Richmond Zoo welcomed a second litter of a second litter of seven cubs was born. Sadly, two cubs did not survive. Just one day later, an additional six cubs were born, with one cub passing away due to complications from the birth. Currently, all of the surviving cheetah cubs are healthy and quickly growing. “Cheetahs are endangered and the wild cheetah population is in a drastic decline, with only 7,500 now left in the wild in small pocketed areas in Africa,” Metro Richmond Zoo owner Jim Andelin said in a written statement. The zoo has made significant contributions to the preservation of the species in recent years, with 36 cubs born in the past two and a half years. The large litters were a pleasant surprise to the zoo, as litters of six and seven occur in only 8% and 1% of cheetah births, respectively. 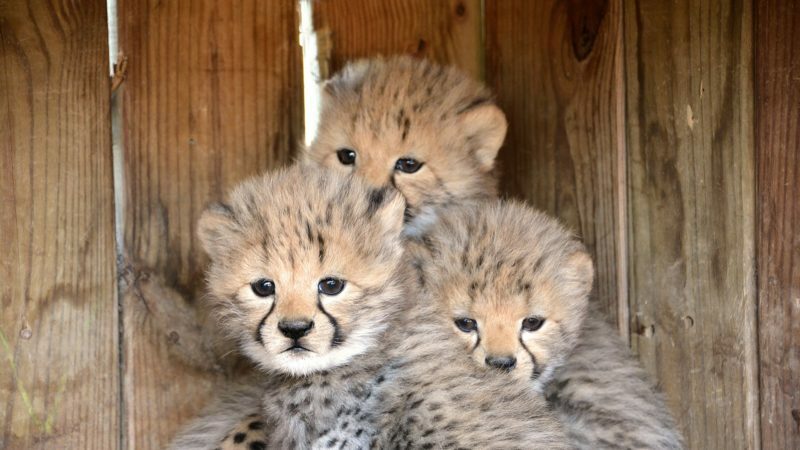 With a quickly growing cheetah population, the Metro Richmond Zoo is expanding its facilities to accommodate the new cheetahs. Located away from the exhibits, the Metro Richmond Zoo currently has 10 cheetah enclosures and five more on the way to house the growing cubs. Those looking to visit the new cubs will have to wait, as they are not currently on display. However, a 24-hour live stream is available through the Metro Richmond Zoo website, with two cameras that allow visitors to watch the newborn cubs. You can watch the live stream on the Metro Richmond Zoo’s website here.